The need for absolute quantitation of protein expression levels in biological samples is of major importance in proteomics. 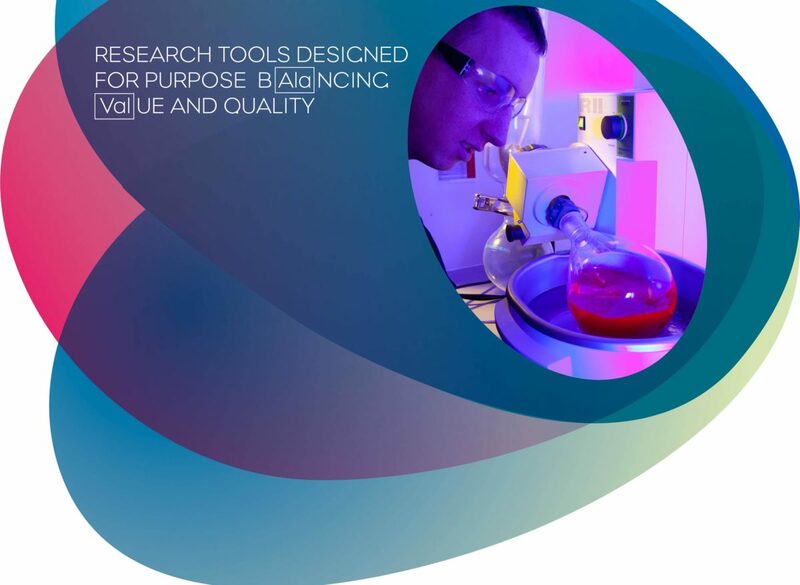 The simplest and most cost effective method of quantitation involves the use of peptides containing amino acids incorporating heavy stable isotopes. 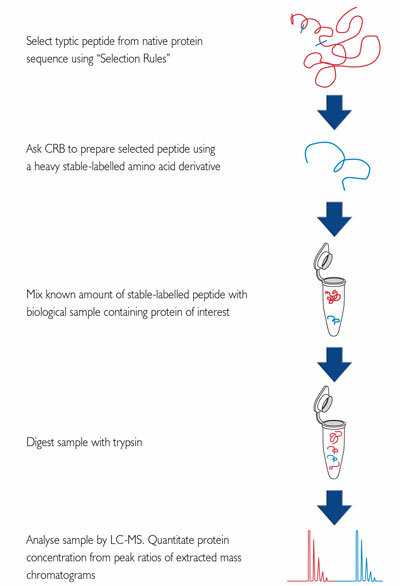 Typically, the biological sample is spiked with a known amount of a heavy version of a tryptic peptide related to the protein of interest prior to enzyme digest (Figure 1). Since the stable-labelled and natural peptide have identical HPLC and electrophoretic properties but different molecular masses, the levels of target protein can be directly quantified via mass spectrometry from the peak ratios of the extracted ion chromatograms. Fig 1. Work flow for protein quantitation using stable-labelled peptides. To assist with the selection of the most appropriate stable-labelled peptide standard, we have prepared simple to follow guidelines. Stable-labelled amino acids most commonly used in this technique. These amino acids provide the greatest shift in the molecular weight for the least cost; however, heavy atom versions of other amino acids are available upon request.